If you were on my blog in March you may have seen the first Ding Dong Diaper Ditch in which I left a baby package on a friend’s doorstep, rang the doorbell and ran. 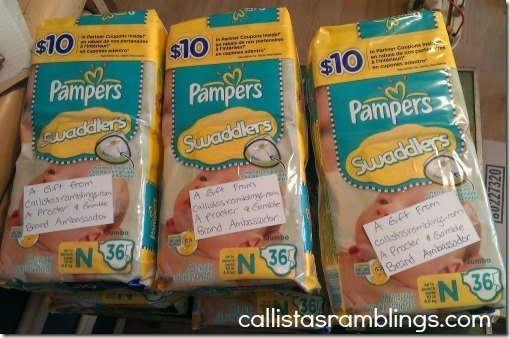 For Round two, I was sent cases of Pampers Swaddlers to share however I wanted. I kept some for my baby to be but I donated so many more. Some I just handed to friends who had recently had babies or were due to have a baby soon. Below is baby Brysen showing off his swaddlers. Brysen is about a week old. I also gifted some to another friend, to some ladies at my local PFLC playgroup and I gave my brother some to pass on to his friend who recently had a baby. First I attached a little note to each to say where the donation was coming from. Then since we walk to Building Blocks, my daughter pulled the cases with her wagon. 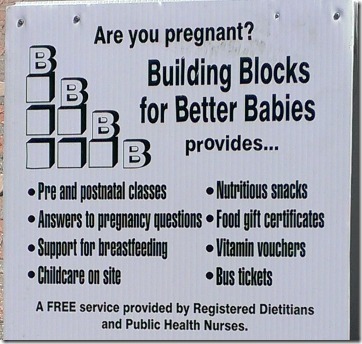 I couldn’t take photos inside because I would have had to get permission from each mom and mom-to-be but the sign outside tells you a little bit about what happens at Building Blocks for Better Babies. 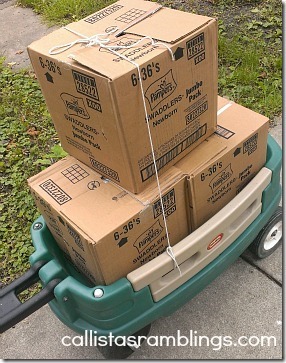 The cases of diapers went quickly and everyone was so thankful. I was glad I could help out the other women who visit the center. 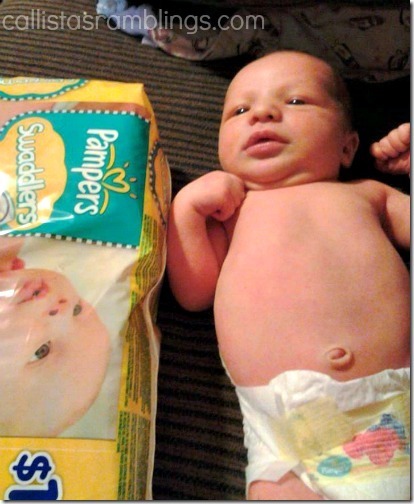 I look forward to using Pampers Swaddlers with my new baby when the time comes, they are perfect for newborns especially since they are so soft!